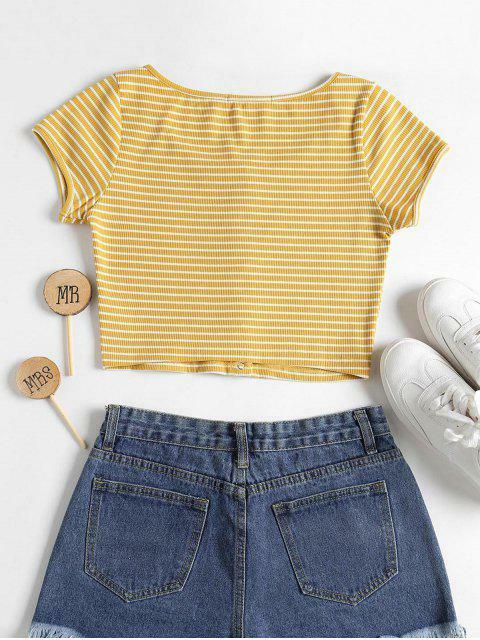 [26% OFF] 2019 Striped Ribbed Crop Top In YELLOW | ZAFUL ..
Love this shirt! Great quality!! Super cute. Fits well. It’s shorter than I thought but with high waisted jeans or shorts it’s perfect. It’s a button up so you can show as much or little cleavage as you want. Highly recommend, great color and works perfect for the summer. 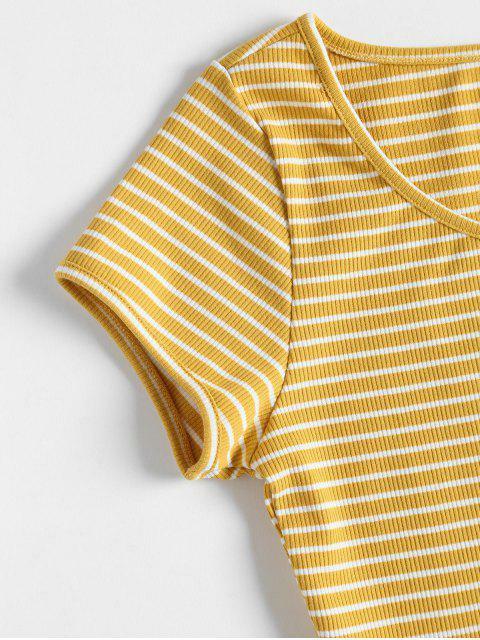 Skinny rib-knit tee features a scooped front highlighting your decolletage, snap button front closure and a cropped silhouette for the upcoming hot summer days. 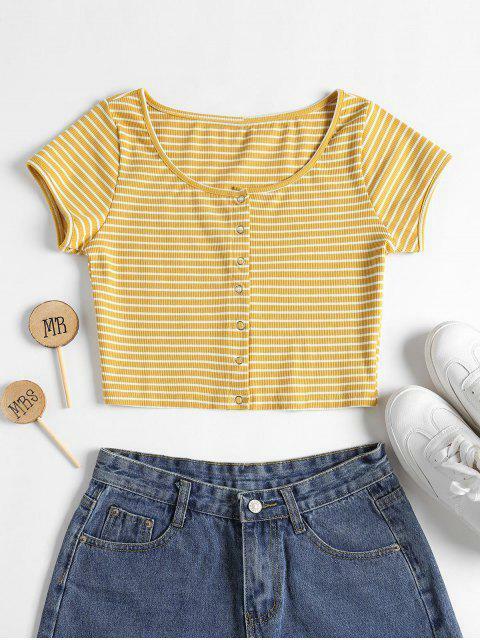 Pair with denim for instant cool.